Lynn Brockway is a 2nd year Vet student at University of MO. 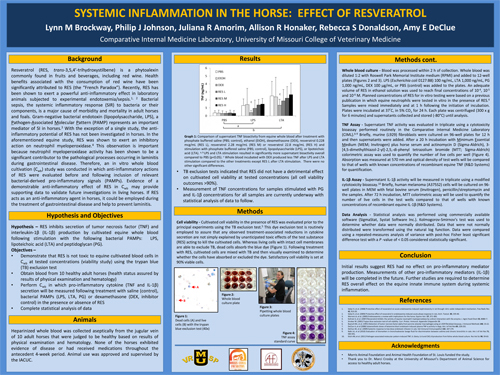 She was awarded the prize for the Best Content in a Poster at the International Equine Conference on Laminitis and Diseases of the Foot Oct 29-31 at West Palm Beach. Her project has been partially funded by AHF through Dr. Phil Johnson's grant.